As every family wants their parent or grandparents to rejoin them in Canada. But foreseeing the case of health concerns of the visitors and exponential cost of health care system, the inviters hesitates to apply for Supervisa. But government now have provision in place to support those families with option to buy health insurance, and later it becomes mandatory to every visitor for Supervisa. There is a minimum limit on sum assured $100,000 which is required for applying Canadian super visa. Many insurance agents and companies are providing super visa insurance according to their provisions and conditions, which leads towards cutting edge competitions and making people confuse. To make it easy must keep some points in mind. Insurance is not only about covering major or critical ailments, but it must cover the health condition with type and amount of insurance. It must be Opt under the guidance of any expert. 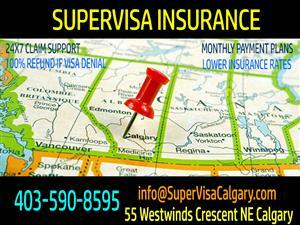 You can call Piyush Girdhar 403-590-8595 in Calgary to get Supervisa insurance anytime.